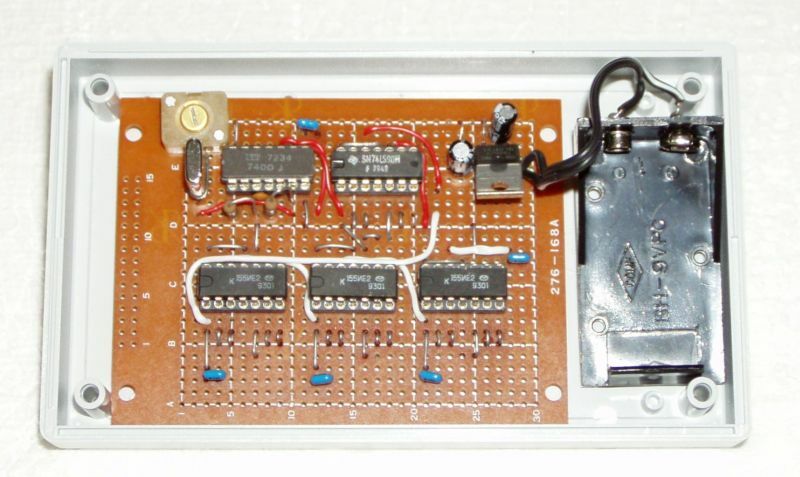 Back in the 1960's something I would have loved to have was a Crystal Calibrator for exact frequency measurement, but that was before the time of IC's and it was a lot of work to build one with valves or transistors. 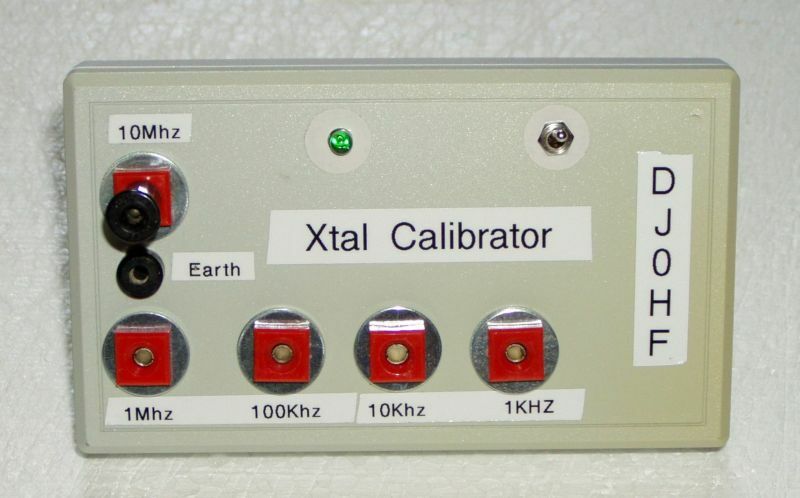 Today I wanted a small project so that I could have fun with my new pocket oscilloscope the DSO203Quad and what better than to build that Xtal Calibrator. 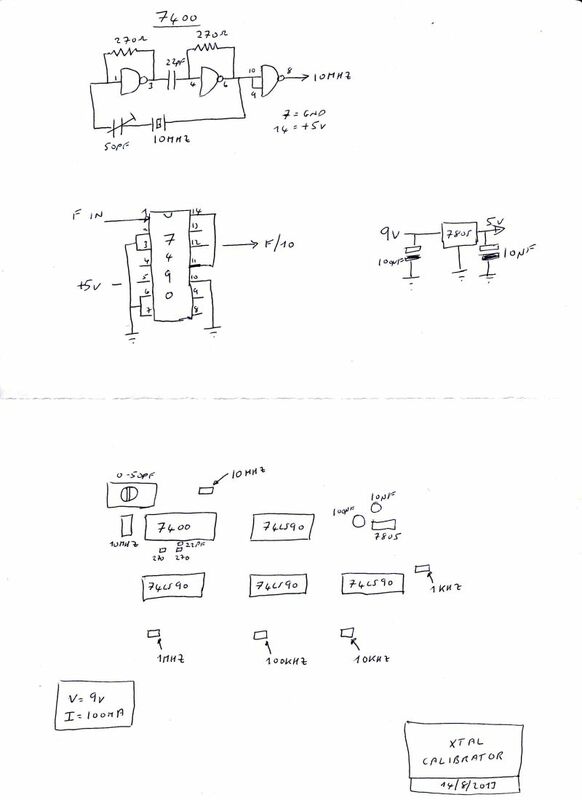 I was going to start with a 1Mhz crystal but in the end decided to start with 10Mhz using a 7400 chip for the oscillator and then a number of 7490's to do the divide by tens. It works just fine and here are a few photo's of the result.